The grandmasters of data, Globacom, has announced that it has carried out a massive and comprehensive upgrade of its facilities across Nigeria to optimize its efficiency and radically improve the experience of subscribers on the network. In a statement in Lagos, the company said it had built hundreds of new transmitting sites across Nigeria to complement existing ones and massively improve the telco’s signals to give more Nigerians access to relish Globacom’s reliable 2G, 3G and inimitable 4G services. The statement noted that it had swapped obsolete parts with state-of-the-art brand new components, provided new power supply equipment in all transmitting sites, while fibre relocation had been completed resulting in higher fibre route and network availability. Globacom said that it was customary for its highly competent in-house personnel to carry out periodic upgrade on the network to keep it in optimum shape for top notch service and provide employment opportunities for young Nigerian graduates to be gainfully employed. 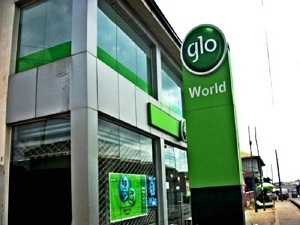 It is revealed that Glo’s core data network interface ports have been upgraded from 40GB to 100GB, meaning the traffic handling capacity is more than doubled. Also, the capacity of Globacom’s undersea cable, Glo 1, has been tripled. The network’s renowned 4G Coverage is being extended to several more cities in 33 states consolidating Globacom’s position as the network with the widest and best 4G coverage in Nigeria at the moment.